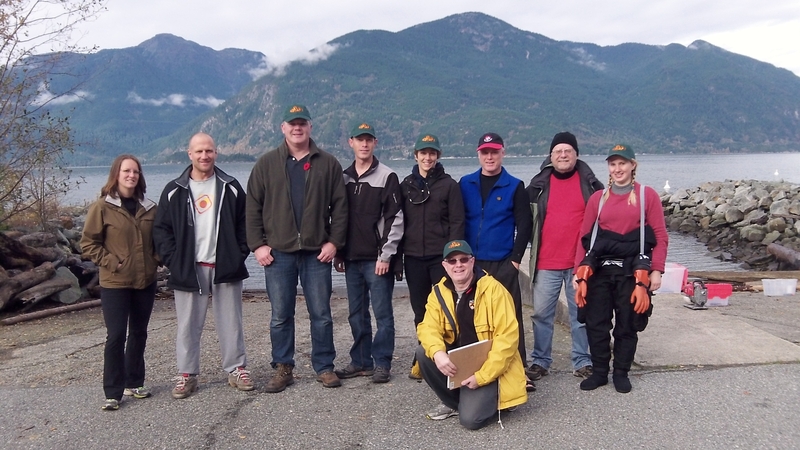 On Saturday Nov 8, 2014 MLSS put on a Beach Interpretation Program (BIP) in Porteau Cove, in collaboration with Squamish Nation and the David Suzuki Foundation. 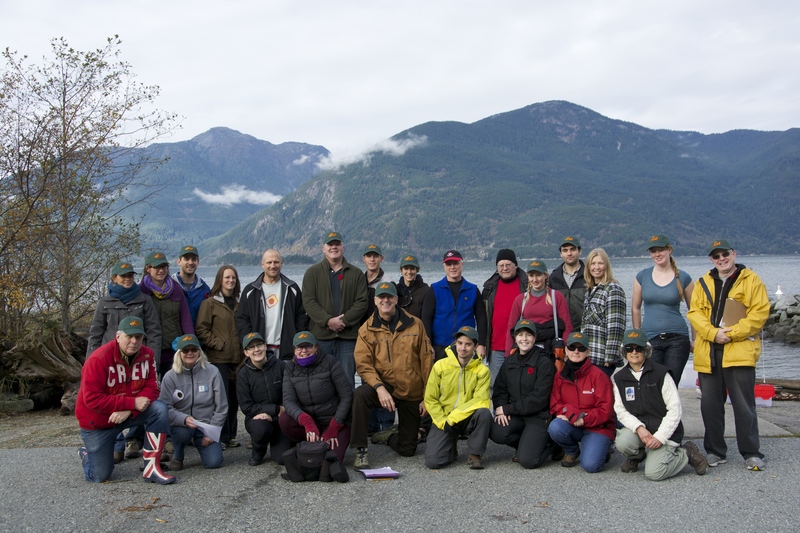 The event was a huge success and gave members from the local community a chance to come out and see some of the incredible marine life in Howe Sound. A team of divers collected marine life from underwater and brought them to tanks onshore with biologists. Thank you to the RBC Blue Water Project and Barnet Rifle Club for their previous grant money to support this program and to all of our wonderful volunteers who helped out both underwater and onshore! This was the final stop on David Suzuki’s blue dot tour, and both members of Squamish Nation and David Suzuki shared stories about the importance of protecting the marine environment in Howe Sound. Click here to see Global News Coverage of the event! MLSS is always looking for partners for continued support of this educational program. All of our programs are run entirely by volunteers. To support our Beach Interpretations and other MLSS programs please donate! A huge thank you to all of our incredible volunteers this year. The Marine Life Sanctuaries Society uses our Beach Interpretation Program to engage local communities and increase awareness of our local marine environments. By connecting people directly with our local marine ecosystems, we hope that citizens will be stewards of marine life in BC. We encourage people to join us in our effort to educate and work towards creating marine sanctuaries throughout all of British Columbia. Don’t miss out on this great program, stay tuned to our events page for information on a BIP near you!